Diffusion of responsibility is a psychological phenomenon in which people are less likely to take action when in the presence of a large group of people. For example, imagine that you are in a large city on a bustling street. You notice a man fall to the ground and start convulsing as if having a seizure. Many people turn and look at the man, but no one moves to help or call for medical assistance. Why? Because there are so many people present, no one person feels pressured to respond. Each person might think, "Oh, someone else has probably already called for help" or "No one else is doing anything, so it must not be that serious." 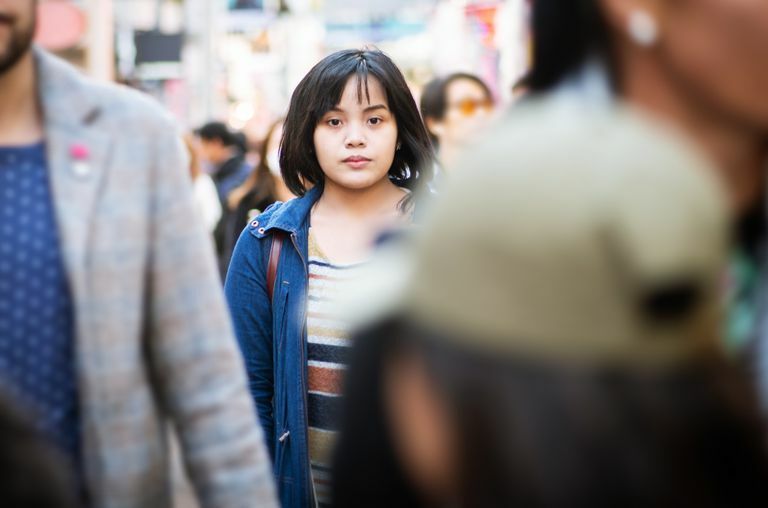 This situation is often used to explain the bystander effect, which suggests that the greater the number of people present, the less likely people are to help a person in distress. This isn't to suggest that people aren't acting because they lack compassion, but they may not be able to process a traumatic event as it unfolds, especially when others are around. In a series of classic experiments conducted in the late 1960s, researchers John Darley and Bibb Latané asked participants to fill out questionnaires in a room which suddenly began to fill with smoke. In one scenario the subjects of the experiment were alone when the smoke entered the room. Seventy-five percent of these subjects reported the smoke to researchers right away. But in another scenario, there was one subject and two people who were part of the experiment in the room. Since those two ignored the smoke, only 10 percent of the “naive” subjects reported the smoke. Darley and Latané noted that once a person notices that something is happening, a series of important decisions must first be made. The first step involves actually noticing a problem. Next, the individual must decide if what they are witnessing is actually an emergency. Next is perhaps the most critical decision in this process: Deciding to take personal responsibility to act. Then the individual has to decide what needs to be done. Finally, the bystander must actually take action. What complicates this process is that these decisions often need to be made quickly. There is often an element of danger, stress, emergency, and sometimes personal risk involved. Adding to this pressure-packed situation is the problem of ambiguity. Sometimes it isn't entirely clear who is in trouble, what is wrong, or what needs to be done. Researchers have also discovered a number of different factors that can increase and decrease the likelihood that diffusion of responsibility will occur. If bystanders do not know the victim, they’re less likely to help and more likely to expect someone else in the crowd to offer assistance. If onlookers are not really sure what is happening, are unclear about who is in trouble, or are unsure if the person really needs assistance, then they are far less likely to take action. But people are more likely to help if they feel some sort of connection or personal knowledge of the person in trouble. If a victim makes eye contact and asks a specific individual for help, that person will feel more compelled to take action. And sometimes, people don’t step in to help because they feel unqualified. A person who has received specific training in first aid and CPR will probably feel more capable of offering assistance. Ever been part of a team at work and felt like not everyone was pulling their weight? This too might be an instance of diffusion of responsibility. People feel less motivation to work toward a common goal and slackers may even go out of their way to hide how little they're contributing. This is also known as "social loafing." A much more consequential type of diffusion of responsibility occurs within hierarchical organizations. Subordinates who claim to be following orders avoid taking responsibility for committing what they logically know to be illegal or immoral actions. This kind of group behavior led to such crimes against humanity as the Nazi Holocaust. Darley, J. M. & Latané, B. "Bystander Intervention in Emergencies: Diffusion of Responsibility." Journal of Personality and Social Psychology 8: 377–383. doi:10.1037/h0025589, 1968. Kassin, S., Fain, S. & Markus, H. R. (2014). Social Psychology. Belmont, Calif: Wadsworth. Are You Guilty of Participating With the Bystander Effect? The Asch Experiments: Why Do We Feel the Need to Conform? Conformity: Why Do We Try So Hard to Be Like Other People?